Visible imagery from NASA’s Aqua satellite revealed the hint of an eye developing in the center of Tropical Cyclone Pola. Warnings in the Southern Pacific Ocean have been posted for Tonga. he Polynesian kingdom of Tonga consists of more than 170 South Pacific islands, many uninhabited. Forecasts are managed by the Tonga Meteorological Service or TMS. 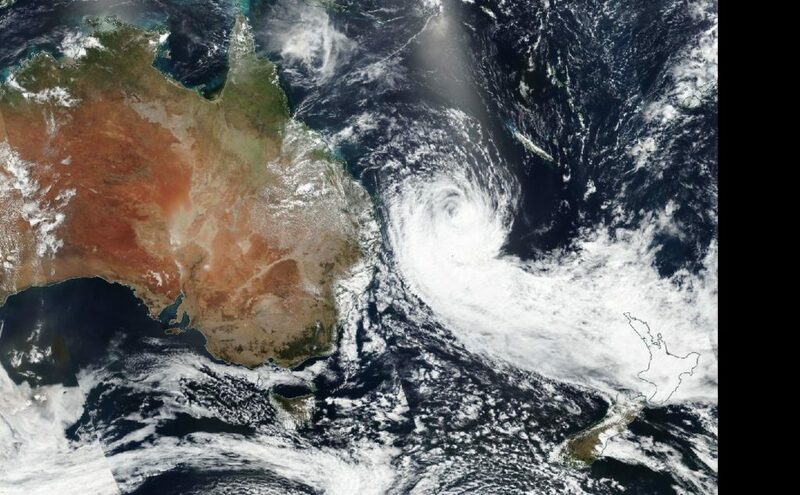 On February 28, the TMS noted that a tropical cyclone warning is in force for Tonga, with a hurricane force winds warning for Tele-Ki-Tonga and Tele-Ki-Tokelau coastal waters. A strong wind warning remains inforce for Tongatapu and ‘eua land areas and coastal waters. A heavy damaging swell remains inforce for Ha’apai, Tongatapu, ‘eua, Tele-ki-tonga and Tele-ki-tokelau coastal waters. 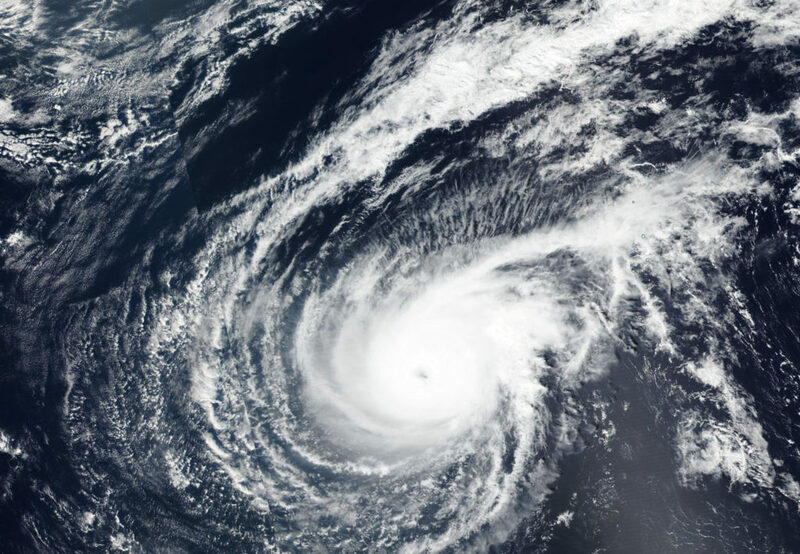 On Feb. 28, 2019 at 0125 UTC (Feb. 27 at 8:25 p.m. EDT) the Moderate Resolution Imaging Spectroradiometer or MODIS instrument aboard NASA’s Aqua satellite captured a visible image of Tropical Cyclone Pola. The visible imagery provided a hint that an eye was developing. Animated enhanced infrared satellite imagery confirmed that the compact system has developed a 5 nautical-mile wide eye. In addition, microwave imagery indicated tightly-curved banding of thunderstorms were wrapping into the eye. At 10 a.m. EDT (1500 UTC) on Feb. 28, Pola’s maximum sustained winds had peaked near 90 knots (103 mph/166 kph). The Joint Typhoon Warning Center or JTWC expects the storm will start weakening. Pola was centered near 24.9 degrees south latitude and 178.2 degrees west longitude. Tropical cyclone Pola is located approximately 423 nautical miles south-southeast of Suva, Fiji, and has tracked southward. Once a super typhoon, Tropical Cyclone Wutip weakened to a depression on February 28. NASA-NOAA’s Suomi NPP satellite passed over the Northwestern Pacific Ocean and captured an image the wispy looking-storm being battered by vertical wind shear. Wind shear and cooler waters knocked the wind out of Wutip and weakened the storm rapidly. On Feb 28, the Visible Infrared Imaging Radiometer Suite (VIIRS) instrument aboard the Suomi NPP satellite showed that Wutip still had a defined center, although elongated from the outside winds. Bands of clouds wrapping around the center appeared to be wispy and devoid of heavy rain. At 10 a.m. EDT (1500 UTC) on Feb. 28 (1 a.m. CHST local time, March 1) the National Weather Service in Tiyan, Guam noted that the center of Tropical Depression Wutip was located near Latitude 18.3 degrees North and Longitude 134.6 degrees East. That’s about 755 miles west-northwest of Guam and about 765 miles west-northwest of Saipan. Wutip was moving northwest at 10 mph. It is expected to make a turn toward the west with a decrease in forward speed over the next 24 hours. Maximum sustained winds have decreased to 30 mph and is forecast to dissipate sometime on Saturday, March 1, EDT. 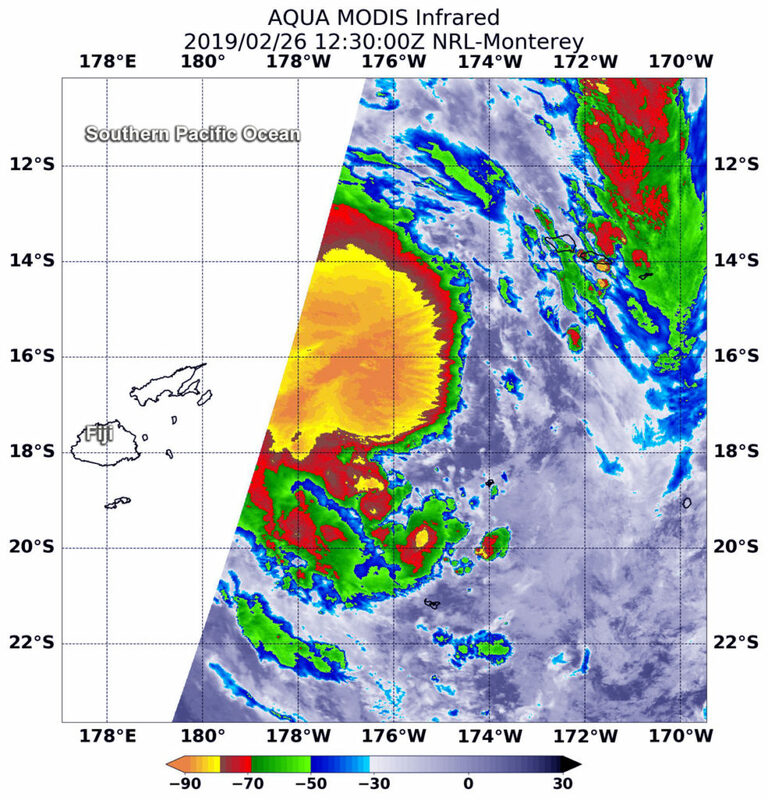 Tropical Cyclone Pola was passing near the Southern Pacific country of Fiji when NASA’s Aqua satellite analyzed the storm in infrared light and found it strengthening. 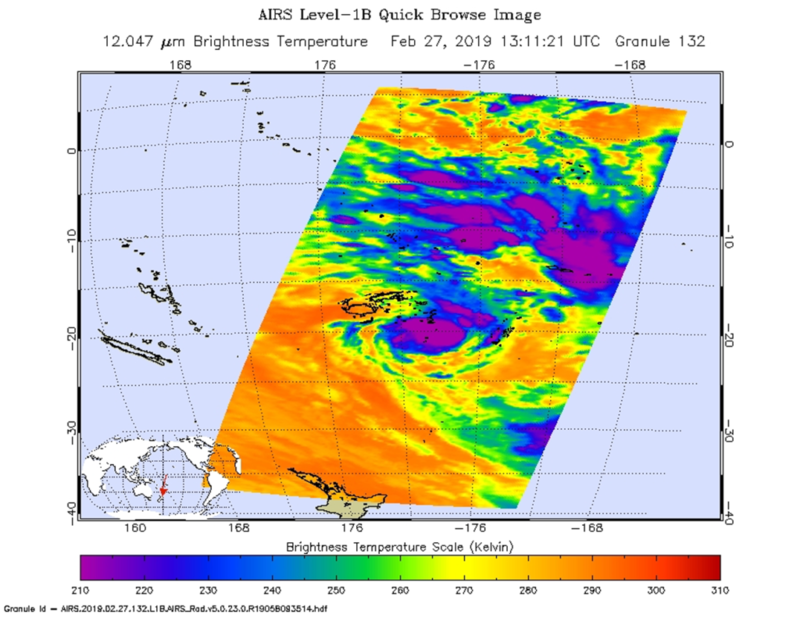 On Feb. 27 at 8:11 p.m. EDT (1311 UTC) the Atmospheric Infrared Sounder or AIRS instrument aboard NASA’s Aqua satellite analyzed cloud top temperatures of Tropical Cyclone Pola in infrared light. AIRS found cloud top temperatures were getting colder. Colder cloud tops mean the uplift of air in the storm is strengthening and pushing the cloud tops higher. It’s an indication of a strengthening storm. Strongest thunderstorms as cold as or colder than minus 63 degrees Fahrenheit (minus 53 degrees Celsius) circling the center. Enhanced infrared satellite imagery shows deep and persistent convection continues to wrap around the low level circulation center. Cloud top temperatures that cold indicate strong storms that have the capability to create heavy rain. Microwave imagery revealed a partial eye developing. On Feb. 21 at 10 a.m. EST (1500 UTC), the center of Tropical Cyclone Pola was located near latitude 21.0 degrees south and longitude 178.0 degrees west. That puts the center of Pola between Fiji and Tonga and about 258 nautical miles southeast of Suva, Fiji. Pola was moving to the south-southwest. Maximum sustained winds were near 75 knots (86 mph/139 kph). The Joint Typhoon Warning Center expects Pola to strengthen in the next day before slow weakening begins. Visible imagery from NASA’s Terra satellite showed that Typhoon Wutip has become more elongated as a result of wind shear. On Feb. 27, 2019, the MODIS instrument aboard NASA’s Terra satellite provided a visible image of Typhoon Wutip. Credit: NASA Worldview, Earth Observing System Data and Information System (EOSDIS). 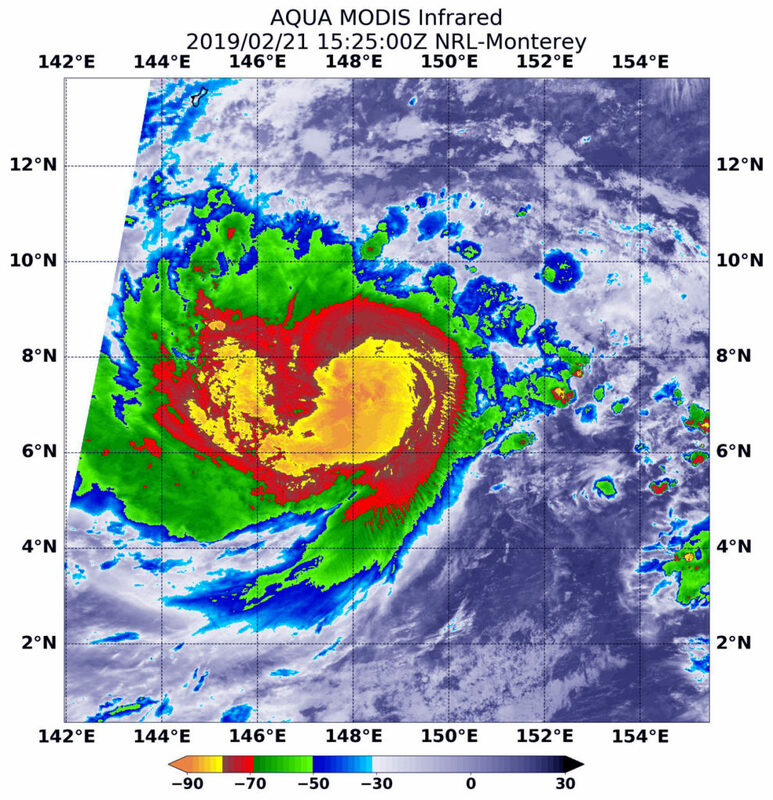 On February 27, 2019 the Moderate Resolution Imaging Spectroradiometer or MODIS instrument aboard NASA’s Terra satellite provided a visible image of Typhoon Wutip in the Northwestern Pacific Ocean. The image showed Wutip no longer has an eye and the storm has elongated from southwest to northeast. On February 27, 2019 at 7 p.m. CHST/4 a.m. EDT/0900 UTC the National Weather Service of Tiyan, Guam noted Typhoon Wutip was located near Latitude 16.3 degrees North and Longitude 139.4 degrees East. That’s about 410 miles west-northwest of Guam, and about 430 miles west-northwest of Saipan. Wutip is moving north-northwest at 6 mph. It is expected to make a turn toward the west-northwest with an increase in forward speed over the next 24 hours. Maximum sustained winds have decreased to 90 mph. Wutip is forecast to continue to weaken the next few days. JTWC forecasts that Wutip will track northwestward and vertical wind shear will continue to disrupt the remaining convection associated with it. Wutip will continue to rapidly decrease in intensity and the storm is forecast to become a depression in a day or two. Tropical Cyclone Pola formed in the South Pacific Ocean on February 26 and the Fiji Meteorological Services quickly heavy rain posted warnings. NASA’s Aqua satellite analyzed cloud top temperatures in the storm which gave an indication of the storm’s strength. 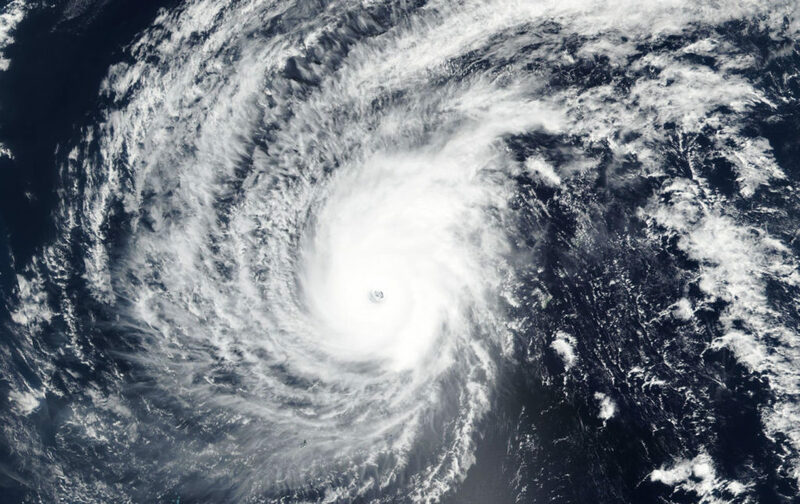 At 7:30 a.m. EDT (1230 UTC) on Feb. 26, the MODIS or Moderate Resolution Imaging Spectroradiometer instrument aboard NASA’s Aqua satellite looked at Tropical Cyclone Pola, also known as Tropical Cyclone 16P, in infrared light. MODIS found coldest cloud tops had temperatures near minus 80 degrees Fahrenheit (minus 62.2 degrees Celsius) around the center of the tropical storm. Storms with temperatures that cold are indicative of strong storms and have been shown to have the capability to generate heavy rainfall. The Joint Typhoon Warning Center or JTWC posted at 10 a.m. EDT (1500 UTC) on Feb. 26 that Pola was located at 17.4 degrees south latitude and 176.4 degrees west longitude. That’s approximately 283 nautical miles southwest of Avata Samoa. Pola was moving southward and is expected to continue in that general direction over the next several days. Maximum sustained winds were near 40 mph (46 mph/74 kph) and the storm is expected to strengthen to 55 knots (63 mph/102 kph). NASA-NOAA’s Suomi NPP satellite passed over the Northwestern Pacific Ocean and captured an image of Typhoon Wutip that revealed its eye was clouding over. 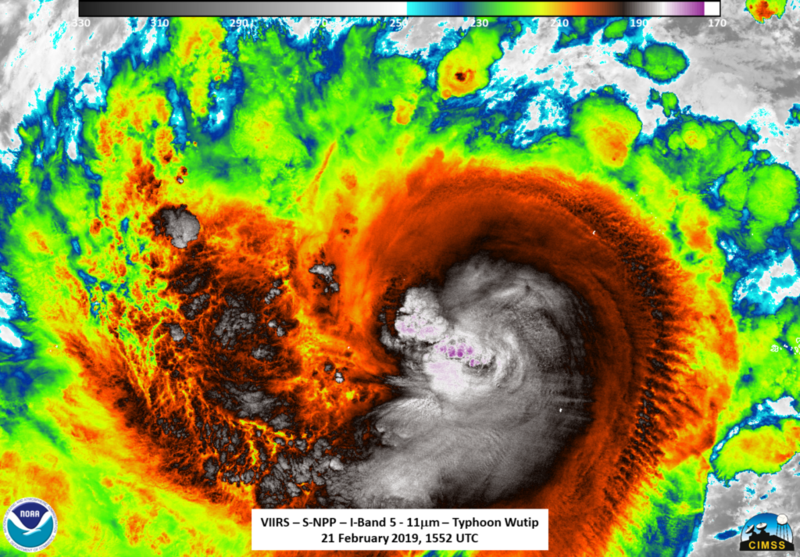 Wutip weakened rapidly from a super typhoon to a typhoon on February 26 after running into wind shear. Early on Feb 26, the Visible Infrared Imaging Radiometer Suite (VIIRS) instrument aboard NASA-NOAA’s Suomi NPP satellite showed the effects of that weakening in a visible image. The VIIRS image also showed that the once visible 25 nautical-mile wide eye had become cloud-filled as the storm weakened. The Joint Typhoon Warning Center noted the storm is weakening because northerly winds or vertical wind shear is pushing the clouds and stretching the storm. Noted. Whenever a storm is no longer circular and elongates, it is a sign of weakening. At 10 a.m. EDT (1500 UTC) the Joint Typhoon Warning Center or JTWC noted that Wutip’s maximum sustained winds dropped to 105 knots (121 mph/194 kph). By this time, the eye was no longer visible on satellite imagery. Wutip’s center was located near 15.5 degrees north latitude and 132.1 east longitude, that’s approximately 313 nautical miles west-northwest of Guam. Wutip is moving to the north-northwest. The wind shear that’s affecting the storm is forecast to increase as Wutip moves into cooler sea surface temperatures, which will enhance weakening of the system. Wutip is forecast to weaken to a depression by February 28 or March 1. 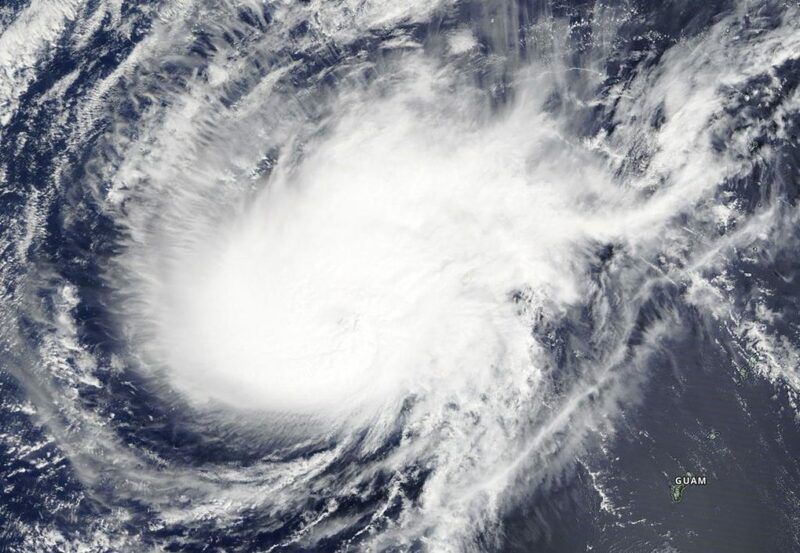 Tropical Cyclone Wutip has strengthened into a powerful super typhoon and NASA-NOAA’s Suomi NPP satellite snapped a visible image of the storm that revealed a clear eye. Wutip strengthened into a super typhoon within 24 hours, according to the Joint Typhoon Warning Center or JTWC. The Visible Infrared Imaging Radiometer Suite (VIIRS) instrument aboard NASA-NOAA’s Suomi NPP satellite captured a visible image of the storm as it became a super typhoon. The VIIRS image revealed a clear, symmetric eye, about 25 nautical miles wide. The eye was surrounded by powerful thunderstorms. A microwave image showed improved, more organized bands of thunderstorms wrapping into the center. At 10 a.m. EDT (1500 UTC) on Feb. 25, Wutip’s maximum sustained winds were near 140 knots (161 mph/259). That makes Wutip a Category 5 hurricane on the Saffir-Simpson Hurricane Wind Scale. Wutip’s center was located near 14.0 degrees north latitude and 140.1 east longitude, that’s approximately 237 nautical miles north of Ulithi. Ulithi is an atoll in the Caroline Islands. The JTWC noted that gradual weakening is expected due to an imminent eyewall replacement cycle. More significant weakening is expected by February 27 as the storm moves west and vertical wind shear increases and the super typhoon moves into cooler sea surface temperatures. Typhoon Wutip was impacting the Federated States of Micronesia in the Northwestern Pacific Ocean when NASA-NOAA’s Suomi NPP satellite passed overhead and analyzed the storm in infrared light. NASA-NOAA’s Suomi NPP satellite provided an infrared look at Typhoon Wutip on February 21 at 10:52 a.m. EDT (1552 UTC). William Straka III, of the University of Wisconsin-Madison, noted that the Visible Infrared Imaging Radiometer Suite (VIIRS) instrument aboard found Suomi NPP showed an intense cold region in the exact location of the overshooting cloud top observed in infrared, which just happens to be where the lightning streak was observed in other satellite imagery. In addition, it seemed to indicate some wrapping of the colder cloud regions around the inner circulation. At 10 a.m. EDT/1500 UTC on Feb. 22 (1 a.m. CHST local time, Feb. 23) the eye of Typhoon Wutip was located by satellite at Latitude 10.1 degrees North and Longitude 144.7 degrees East and moving northwest at 15 mph. That’s about 105 miles north of Faraulep and about 230 miles south of Guam. NASA’s Aqua satellite provided a look at the temperatures in Tropical Cyclone Wutip as it threatens Chuuk and Yap States in the Northwestern Pacific Ocean. Wutip has strengthened into a typhoon. Infrared imagery provides scientists with a look at cloud top temperatures in tropical cyclones, and the colder the clouds, the higher up in the atmosphere and stronger the storms tend to be. Infrared satellite data of Wutip was captured at 10:25 a.m. EDT (1525 UTC) on Feb. 21 from the Moderate Resolution Imaging Spectroradiometer or MODIS instrument aboard NASA’s Aqua satellite. MODIS data revealed powerful thunderstorms with cloud top temperatures as cold as minus 80 degrees Fahrenheit (minus 62.2 degrees Celsius) circling the center. Storms with temperatures that cold are indicative of strong storms and have been shown to have the capability to generate heavy rainfall. The National Weather Service (NWS) in Tiyan, Guam noted that a Typhoon Warning remains in effect for Satawal in Yap State and for Puluwat in Chuuk State. A Tropical Storm Warning and Typhoon Watch remain in effect for Faraulep in Yap State. A Tropical Storm Warning remain in effect for Ulul in Chuuk State. A Tropical Storm Watch remains in effect for Guam, Rota, Tinian, and Saipan in the Mariana Islands and Woleai in Yap State. 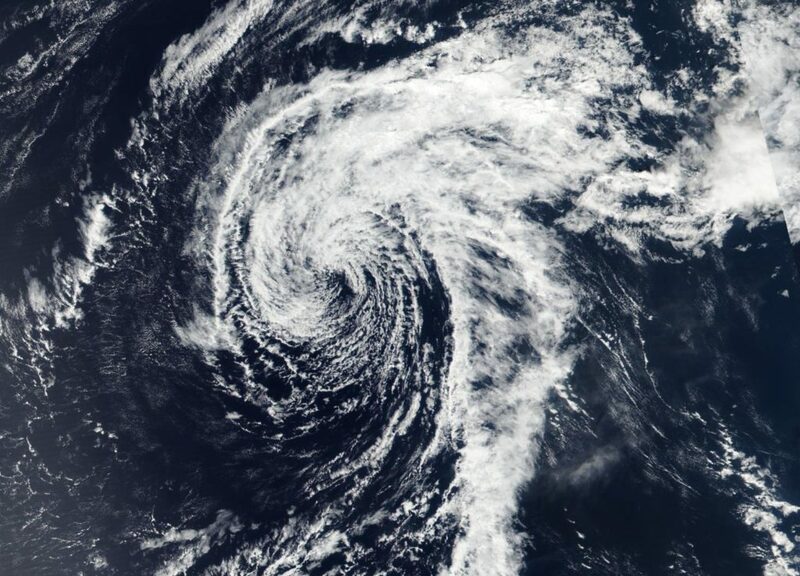 At 10 a.m. EDT (1500 UTC) on Feb. 21 (1 a.m. CHST local time on Feb. 22) the center of Typhoon Wutip was located near Latitude 7.4 degrees North and Longitude 148.3 degrees East. Wutip is moving west-northwest at 8 mph. Wutip is expected to make a slight turn toward the northwest with an increase in forward speed over the next 24 hours. It is expected to pass southwest of the Mariana Islands late Saturday night [Feb. 23] and early Sunday morning [Feb. 24]. Maximum sustained winds have increased to 100 mph. Wutip is forecast to intensify through Saturday. Typhoon force winds extend outward from the center up to 35 miles. Tropical storm force winds extend outward from the center up to 150 miles. 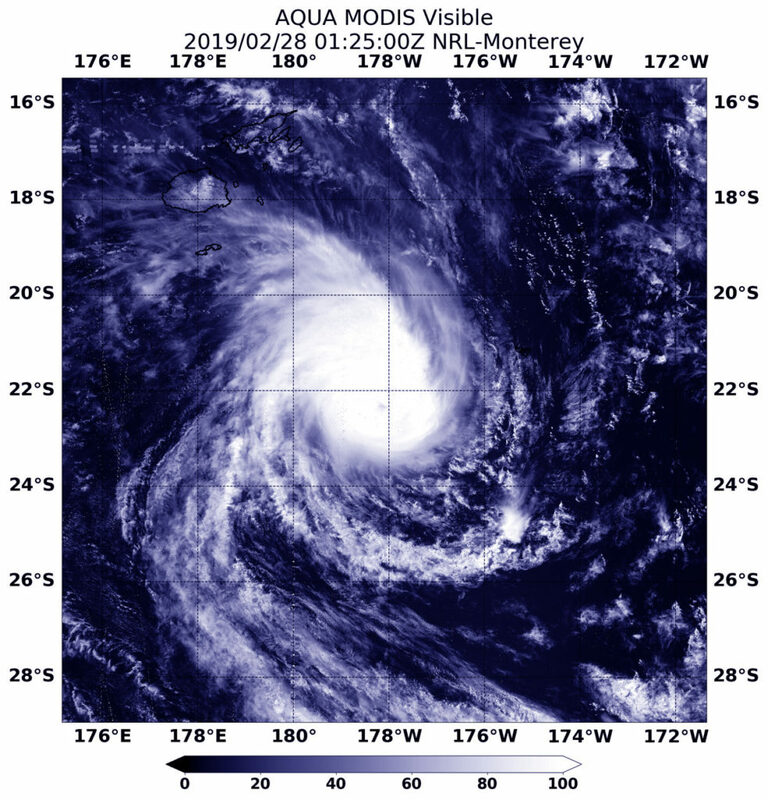 Wutip is forecast to move in a northwesterly direction and its center is forecast to pass just northeast of the island of Faraulep by 7 p.m. EDT (2200 UTC) on Feb. 21 (10 a.m. CHST local time on Feb. 22) and continue tracking to the northwest.